In its fourth season, does The Magicians TV show on Syfy still have the magic touch? 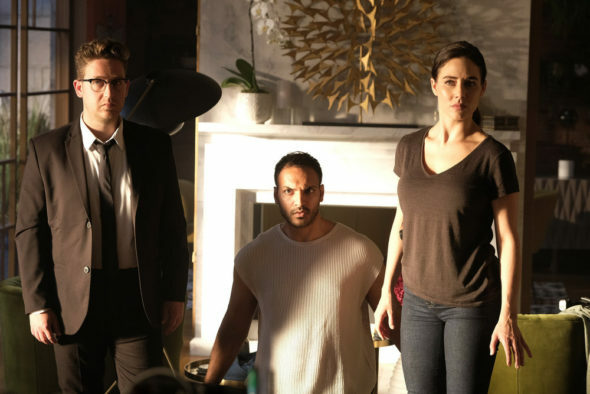 As we all know, the Nielsen ratings typically play a big role in determining whether a TV show like The Magicians is cancelled or renewed for season five. Unfortunately, most of us do not live in Nielsen households. Because many viewers feel frustration when their viewing habits and opinions aren’t considered, we’d like to offer you the chance to rate all of The Magicians season four episodes, below. A supernatural Syfy drama, The Magicians stars Jason Ralph, Stella Maeve, Olivia Taylor Dudley, Hale Appleman, Arjun Gupta, Summer Bishil, Rick Worthy, Jade Tailor, Brittany Curran, and Trevor Einhorn. The series follows Quentin Coldwater (Ralph) and his friends as they hone their magical abilities and fight off evil threats. Last year ended with The Monster finding a mind-wiped Quentin. In season four, it will also seek out the others, and something else, as well. .